Here it is, my dog blog for the day! Dog nose best! 1) How do dogs show kindness? 2) What inspired mom and dad to invite me to presentations? 3) How many students have been in my presentations? 1) Dogs are just accepting... they don't judge...they don't criticize...they don't gossip.... They simply accept people for who they are. They don't care how your hair looks, where you buy your clothes, and where you are from. This is unconditional acceptance. 2) Toby helps demonstrate unconditional acceptance and makes a memorable learning experience. 3) Several thousand so far. On our PAWS Across Canada Tour we also attended an event at the Ice Cream Shack in Sherwood Park. I got to meet great people including the staff that were working that day. 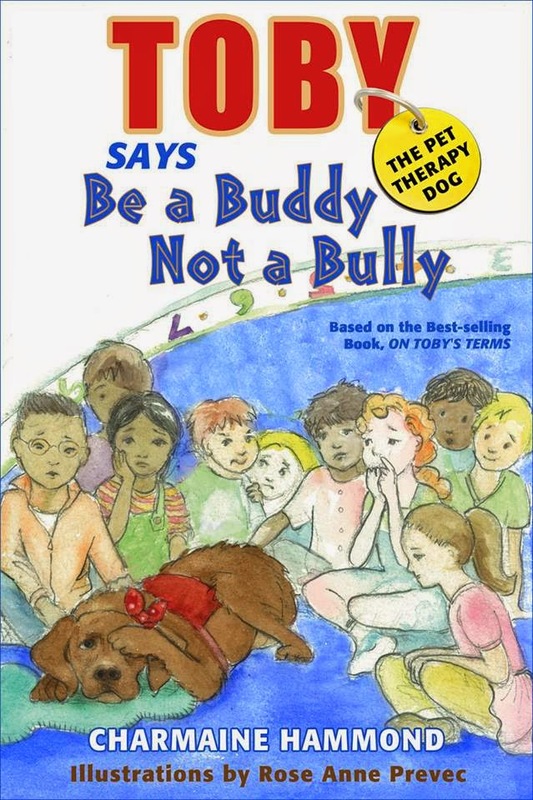 The mom's eye doctor, Doctor's Eye Care in Sherwood Park, gave kids a copy of my children's book Toby the Pet Therapy Dog Says Be a Buddy Not a Bully, as a gift. What I love about this is that businesses are demonstrating such kindness and generosity by supporting our tour, and making a difference in this way! In my book, we talk about how I accept humans as they are....even if their favorite icecream is icecream with broccoli on top! EEEEWWWWW!!! 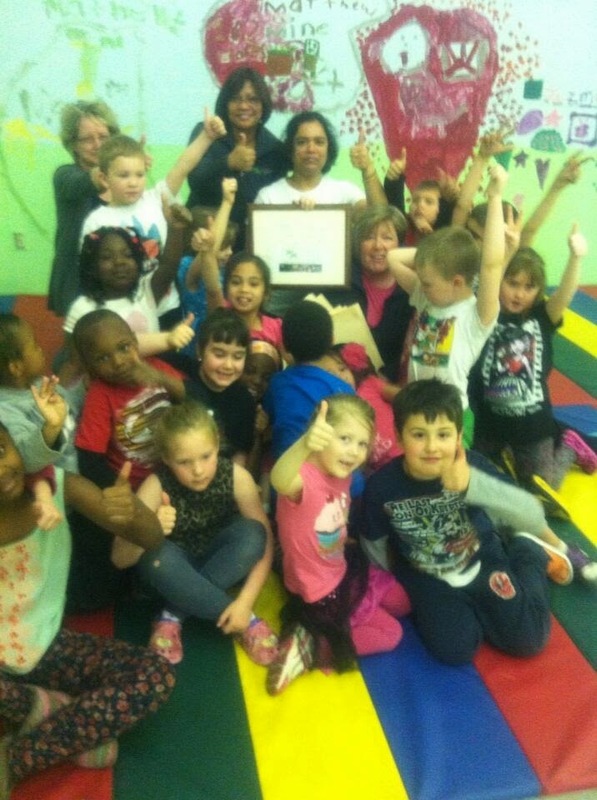 4 PAWS Up to our partners on our PAWS Across Canada Tour. Travelling with your pets... preparing for anything that could happen on the adventure! A few words from my office... the computer of Toby! Hey! There's a monkey on my keyboard! One of mom and dad's highlights during the Fort McMurray leg of the tour was hearing Chris Hadfield's presentation. Mom's big highlight was when Chris said "prepare for what could go wrong!" One of the things that can get in the way of a pet friendly adventure is the pets or humans getting sick. Mom went to the medi-centre and saw the doctor and is finally better. We have a PAWSome First Aid Kit, from Sunny Dog Inc. which we LUV! So like Mr Hadfield says... "prepare for what could go wrong" when you travel with your pets. 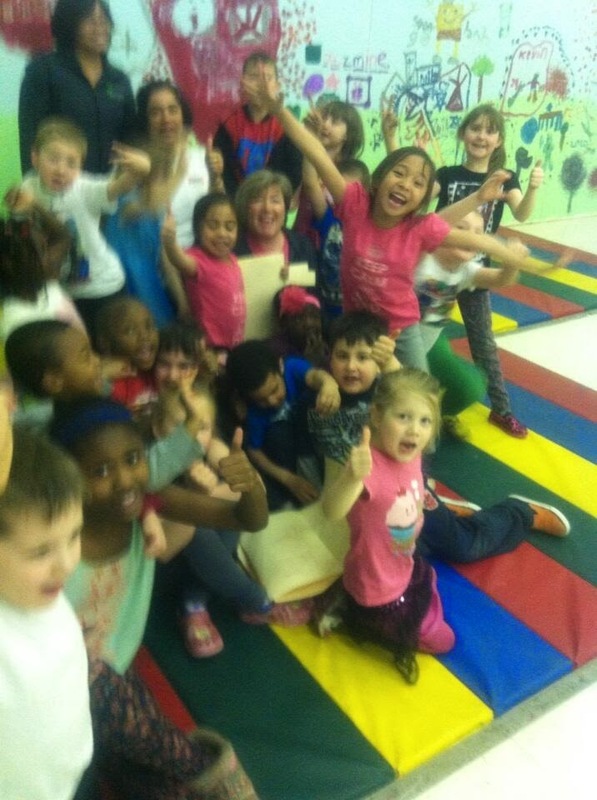 When we visited the Boys and Girls Club in Fort McMurray, the children were pretty happy to see me. Those were my three big learnings.... from the mouth of babes. Big thanks to our partners on our PAWs Across Canada tour... We LUV you! The Visitor Centre is at the Oil Sans Discovery Centre. I couldn't go in as it is a "no pets allowed" but mom and dad talked to the guide to learn where I could go in the community. There are pet friendly hotels, and lots of walking trails and a dog park. The trails are pet friendly, with dogs on leash. A few more garbage cans along the way would help with people not leaving their dog poop bags through the forest section. There were lots of garbage cans along the top of the trails.... PAWsome. 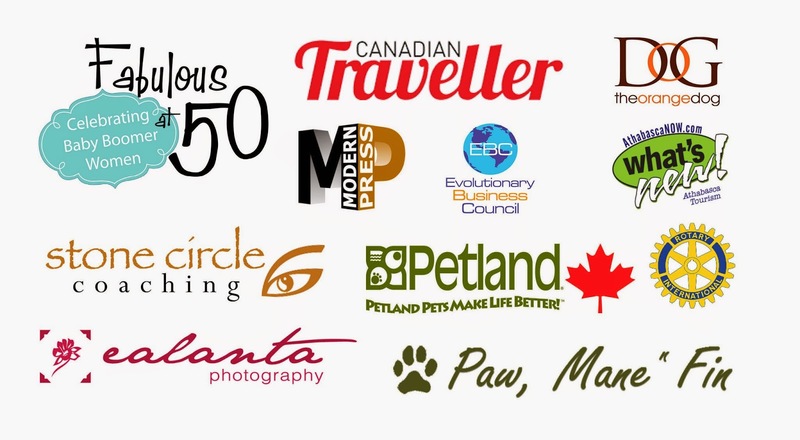 Big thanks to our PAWs Across Canada Tour partners..... thank you for helping us make a difference! Hope you'll like our Facebook page https://www.facebook.com/TheOriginalTeamToby and post your pics of your fave pet friendly adventures and places to go with your dogs. Toby.... a dog with a blog! Thinking about what to write for my dog blog...my head is full of ideas.... thank goodness I have four paws to keep up with my great ideas! Summer time is here. Don't keep your pets in hot cars! Our partner on the PAWS Across Canada Tour, Petland Canada is on a mission to promote safe pets in summer through their No Hot Dogs awareness campaign! We had the chance to talk with one of the Petland staff about this campaign at the Edmonon Manning store. We'll be posting our video interview soon. Petland reminds pet parents to plan ahead of time.... for example... if you are going grocery shopping, your pets are likely better staying at home. Cars heat up super fast and are dangerous to your pet if you leave them in the vehicle, even for a short time. At our Edmonton Petland Canada event, we had the chance to share some of our most fave products with the event guests. One of them is a walking harness that does over the shoulders, and under the belly and is supPAW helpful to me because I really pull on my leash. This is helping me with leash training. My books are available at many Petland locations, stop in and check it out! When we were in Petland Red Deer we got to learn about the fantastic work Petland is doing to promote adoptions. In fact, the Red Deer Alberta store has partnered with Alberta Animal Services and they have a PAWSome adoption centre right inside the store! While we were there they celebrated their 900th adoption! big thanks to Shaw TV Red Deer for coming down to cover the event. Partnerships and collaborations can save lives and make our world a better place. Look what Petland Canada is doing to find furever homes by partnering with rescues and shelters, and having a one of a kind adoption centre in the store. We LUV all of our PAWS Across Canada Tour partners because they make job as an EMBASSADOG of Team Toby so much easier (and four paws up on the FUN scale!). Well, here I am.... another blog by a Dog! Toby here... and here's the latest from our PAWS Across Canada Tour. We are on a mission to build a kinder Canada one paw one person at a time! Our first stop on the trip was Fort McMurray! Mom and dad actually lived there for about 15 years, mom started her business there. There were lots of friends to see and events to participate in. 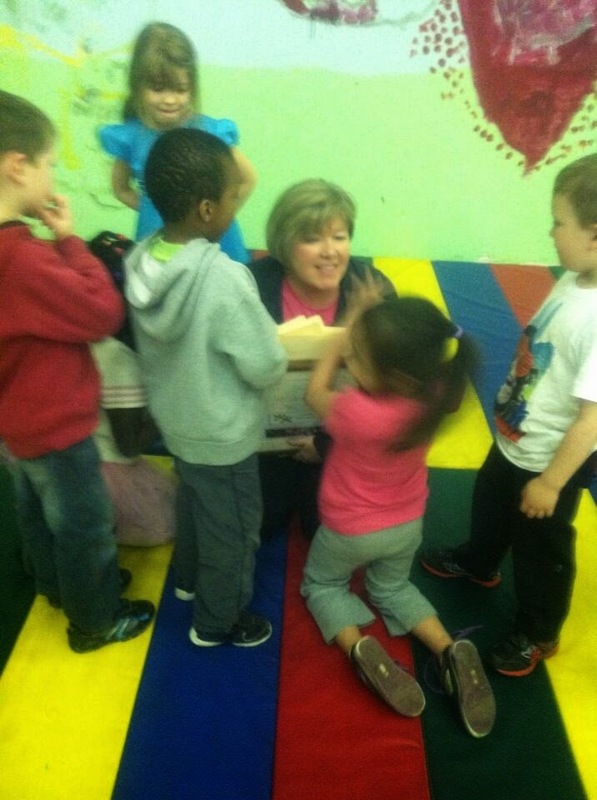 The children were so excited to meet me that they made me a great gift! The children also drew pictures about what kindness means to them, here are a few. The kids totally get it! 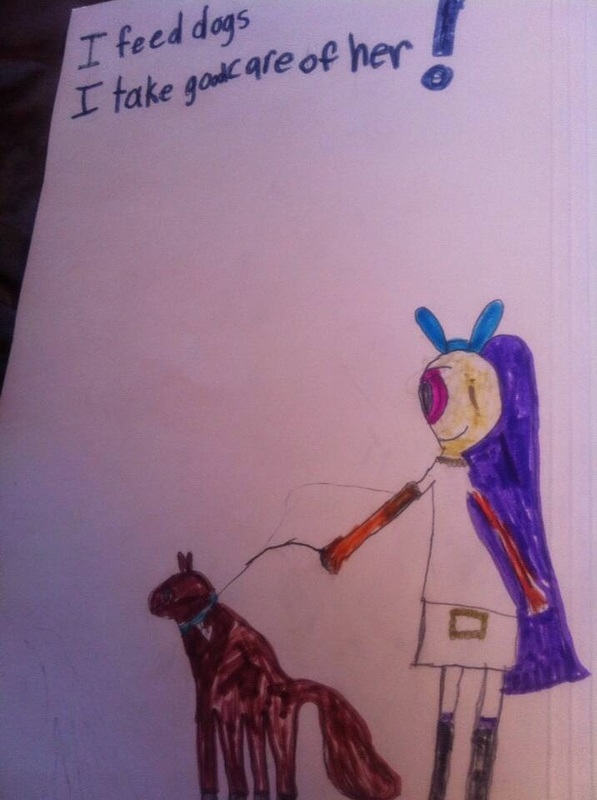 Great ideas about kindness to pets and treating pets as family members! They were so excited to give mom all the pictures to take with us. Ask people to play if they are lonely! Remember to follow us on social media to get the live as it happens updates on our tour, and of course to stay in touch!